The motorists could not find a pulse when they checked the officer's vitals. A Milwaukee Police officer who was struck in a hit-and-run while performing a traffic stop was saved by the people in the truck he pulled over, authorities said. Officer Alberto Figueroa, 26, suffered broken bones and a cracked hip after he was hit Monday night, ABC Milwaukee affiliate WISN reported. He was standing next to the truck he pulled over when he was hit by a speeding car, according to the station. The Milwaukee Police Department wrote on Facebook that the driver who hit Figueroa fled the scene. Surveillance video taken from a nearby business shows the people inside the truck Figueroa pulled over jumping out to help him. 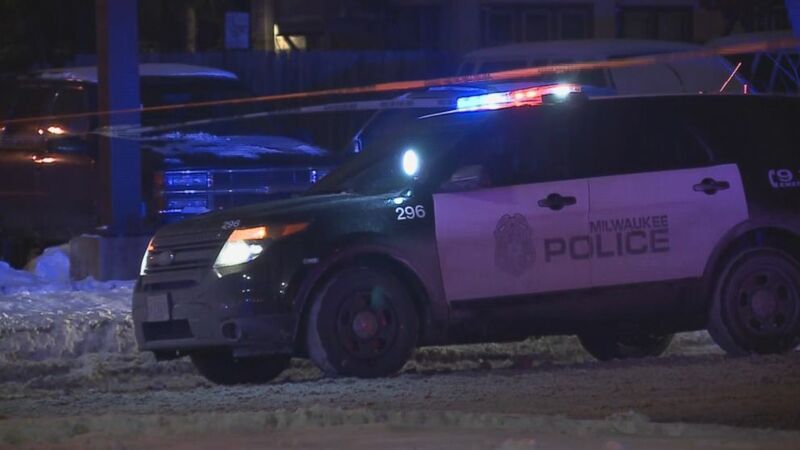 "They began checking his vitals [and] some of them performed CPR on him because they were unable to locate a pulse," Milwaukee Police Assistant Chief Steve Caballero told WISN. "That right there saved the officer's life." (WISN) The motorist could not find a pulse when he checked the officer's vitals. Figueroa was transported to Froedtert Hospital and listed in stable condition as of Tuesday morning, according to the local station. He has undergone two surgeries but is "in good spirits and on the road to recovery," according to a GoFundMe campaign set up to help cover his family's expenses while he recovers. Figueroa, who has been on the force for five years, is a father of two with another child on the way, the GoFundMe account states. The driver who struck Figueroa hit another vehicle several blocks away, after which all of the occupants exited the car and fled, police said. Three of the occupants were in custody by Tuesday afternoon, and police are still looking for a fourth person, Milwaukee Police Chief Alfonso Morales told WISN. A citation was not issued to the driver of the truck Figueroa pulled over.